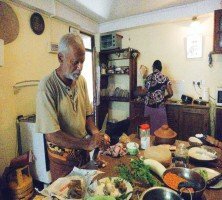 This cozy Sri Lankan cooking class takes place in the kitchen of Kodi and Meena's Dutch style house in the Galle Fort area. Before starting, you will buy the ingredients fresh from the fish and vegetable market. 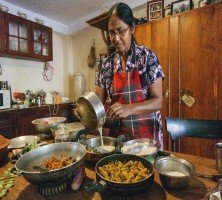 Once you are back with the ingredients, Meena will take you on a spice journey to make up to 4 unique Sri Lankan curries, all the while learning the different techniques used in this cuisine. We had such a fantastic time with Meena and Kodi. The curries we cooked were delicious and very easy. Definitely a highlight of our trip around Sri Lanka. I would recommend this for anyone keen to get an insight into the local way of life - trawling through vegetable and fish markets and learning how to make your favourite local dishes. 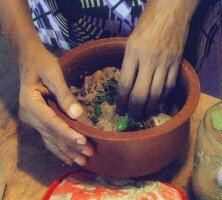 My sister and I spent a fantastic day with Meena and Kodi learning how to cook Sri Lankan food. 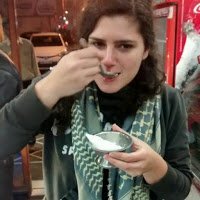 They are incredibly warm and welcoming, and clearly love introducing people to their country's wonderful food. What an amazing cooking class, probably one of the best i've done. 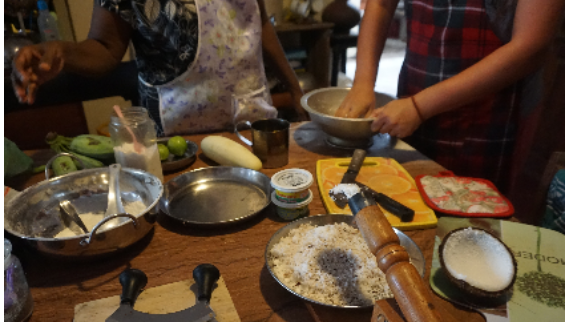 Meena and Kodi were so warm and welcoming and were happy to share all their knowledge on Sri Lankan food and culture. Before cooking, we visited the markets to buy our fresh ingredients. We bought fish from the place where fisherman park their boats after being out at sea and you can tell how fresh the catch is. We learned how to make 5-6 dishes and and they all tasted delicious. Can't wait to recreate these meals for my family and friends back home! and the best part, eat your creation! 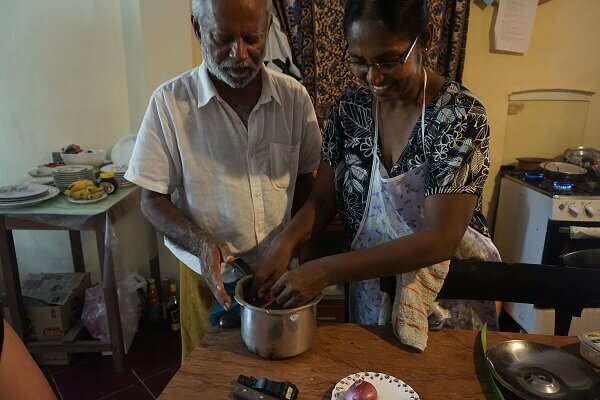 Kodi and Meena have been living in the city of Galle their whole lives. They recently moved into an old Dutch house within the Galle fort walls and turned it into a hostel. 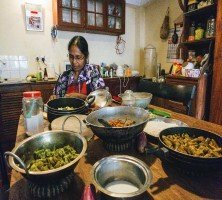 Meena has a huge passion for cooking Sri Lankan food which led her to start offering cooking classes to guests eager to learn. 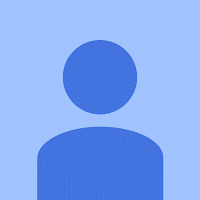 Their high spirit and knowledge of the cuisine will ensure you leave their home with a great new experience.